I can confirm that this is an authentic bottled water brand from Peru. 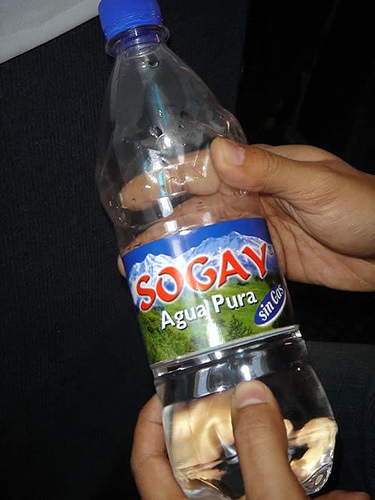 It is actually one word, “SOGAY” but still scores big on the branding translation misfire list. From the Flickr page of Simon Davison. 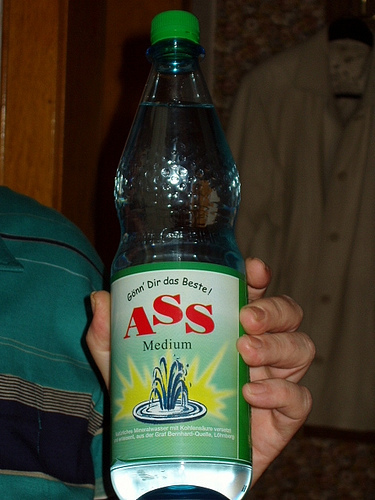 From FLY47D’s Flickr page, this memorably-named bottled water, which means “Ace” in the native tongue. Nice touch with the illustration, too!